Knowledge truly is power. Jason understands the evolution of the real estate market in the information age is necessitating a shift in the ways that brokers provide value to their clients. Essential now is providing knowledge and guidance for today's savvy real estate investor beyond basic real estate fundamentals. This perfectly aligns with the vision at Compass to revolutionize the real estate industry through technology. New Yorkers live exciting and at times hectic lives so Jason takes extra care to make sure that he is maximizing his client’s valuable time. A clear and constant communicator, Jason is always available to his clients. He is a true believer in listening for the client’s real needs, both overt and unstated. Beyond opening a door to an aesthetically pleasing apartment or townhouse, Jason is there every step of the way helping clients grasp difficult concepts and providing a deep intuitive understanding of why that property will be a successful long term investment that will cultivate their equity. Jason’s thorough understanding of the entire real estate spectrum lends insight to every transaction borne through experience gained in his time in real estate development, property & construction management and investment sales. 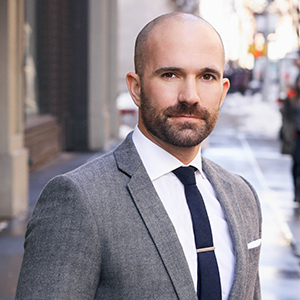 Marketing and negotiating savvy gained by working on high end new development projects provide Jason’s clients with a rare advantage in New York City’s ultra competitive luxury market. Also at his disposal, a key asset to every successful real estate broker, is a network of trusted real estate professionals that are integral to various phases of the transaction and ownership process such as attorneys, architects, contractors, mortgage brokers and more. Jason’s passion for New York City, optimistic spirit, honest demeanor and inherently inquisitive nature shine through in every conversation. With a wide array of interests including Architecture and Design, Music, Food and Drink, Fashion, Art and Sports, Jason can provide knowledge and flavor on the local history and culture in most any neighborhood in Manhattan and Brooklyn. He’s an active Instagram food influencer with over 60,000 followers, you can follow his exploits at @Jasoneats.